According to the latest GLOBOCAN cancer database, New Zealand’s breast cancer incidence rate is among the highest in the world. It affects one in nine women in their lifetime and accounts for almost half of all cancers for women in New Zealand. Worldwide, about 2.1 million women develop breast cancer every year, and despite better treatment options, more than 627,000 die from the disease. 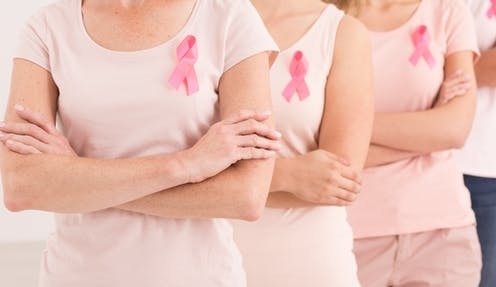 More than 75% of all breast cancers are oestrogen-dependent, and endocrine therapy (also known as hormonal therapy) is currently the most effective form of treatment. But a significant proportion of patients relapse and their tumours seem to develop resistance to the drugs used in endocrine therapy. In our latest research, published today, we have developed a new breast cancer test that predicts a patient’s response to endocrine therapy and their risk of relapse - allowing patients and their doctors to make better treatment decisions. Breast cancer is not a single disease but a complex group of diseases. Each tumour responds to treatment differently. A subtype of breast cancer is called oestrogen receptor positive if it has receptors for the hormone oestrogen. This suggests the cancer cells, like normal breast cells, receive signals from oestrogen that could promote their growth. Clinicians currently rely on the number of oestrogen receptors in tumours as a biomarker to predict a patient’s response to endocrine therapies. Unfortunately, the accuracy of this test is not satisfactory because oestrogen-dependent tumours can develop drug resistance. The response rate to endocrine therapy is only 30-40%. Up to 40-50% of patients don’t benefit from endocrine therapy and will relapse. There is no clear method to predict which breast tumours will become resistant to endocrine therapy drugs, such as tamoxifen. Accurate prediction of a patient’s response to therapy is essential for them to receive correct and timely treatments. Non-responders do not benefit from endocrine therapy while potentially suffering from treatment-associated adverse effects. Ineffective treatments also delay access to other options for non-responders, which can cost lives. Our research has shown a cancer-related protein, named SHON (secreted hominoid-specific oncogene), is associated with breast cancer’s response to treatment. It accurately predicts if a patient will benefit from five-year anti-oestrogen therapy and how they will respond to chemotherapy, which is often used to shrink a tumour before surgery. We have demonstrated that if the genes responsible for oestrogen receptors are active but those for the SHON protein are inactive in the nucleus of a cancer tumour cell, treatment with tamoxifen had no impact on a patient’s survival. If a tumour has both oestrogen receptor and SHON expression, tamoxifen reduces a patient’s risk of dying from breast cancer by 79%. In addition, we have also shown that if the SHON protein is present inside cells in oestrogen receptor negative tumours, it predicts clinical outcomes for patients receiving chemotherapy based on the drug anthracycline. 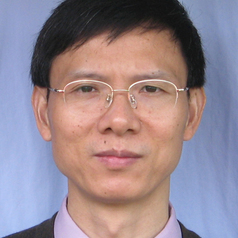 Given resistance to tamoxifen and chemotherapy limits successful management of breast cancer, SHON may serve as a biomarker for the selection of patients for endocrine therapy. Breast cancer is curable if treated early and with correct therapy. We might have found a way to improve the efficacy of endocrine therapy, which is the most widely used treatment for more than three quarters of all breast cancer patients. If we can predict those patients who will not respond to the therapy, they can get other treatments, such as more toxic chemotherapy drugs, sooner. This would improve their chance of survival and quality of life after cancer. We have identified the SHON biomarker by analysing a large number of breast cancer tumours at the Nottingham University Hospital’s (NUH) early-stage breast cancer collection. We have validated the findings using the NUH’s collection of oestrogen receptor negative early-stage and locally advanced breast cancer cells. These tissue collections have been used in the development of the Nottingham Prognostic Index and the Plus version, widely used decision-making tools in breast cancer treatment. Our study has clearly demonstrated that SHON expression in tumours is a potential biomarker for tamoxifen and chemotherapy responses. This would give doctors and their patients a reliable prognostic tool to use as they make decisions about the most effective treatment options. But the exact mechanism is still unclear. Identification of a potential SHON receptor, and determining the role of SHON in oestrogen receptor negative breast cancer will be the next priority in identifying its mechanisms of action. More studies are required before this test is implemented in clinics.